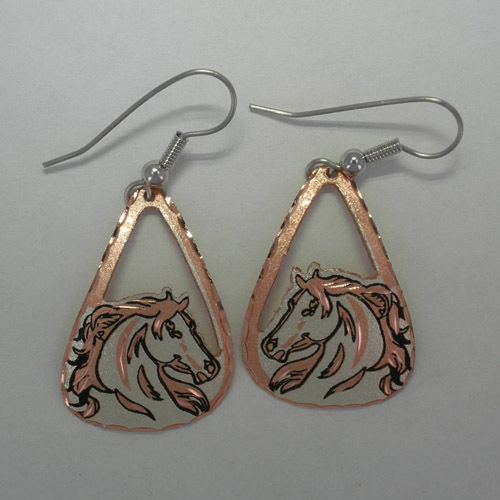 Desc: Copper horse head open dangle earrings. The earrings are pear shaped with diamond cutting all around the edges to enhance shine. In the center of each earring is a horse head with a flowing mane. The horse is silver colored and copper. The ear wires are fashioned from surgical steel. The earrings have textured and bright polish finishes.